In February, Kevin Mullaney travelled to the US to present his latest work on accurate laser frequency stabilisation at OPTO. 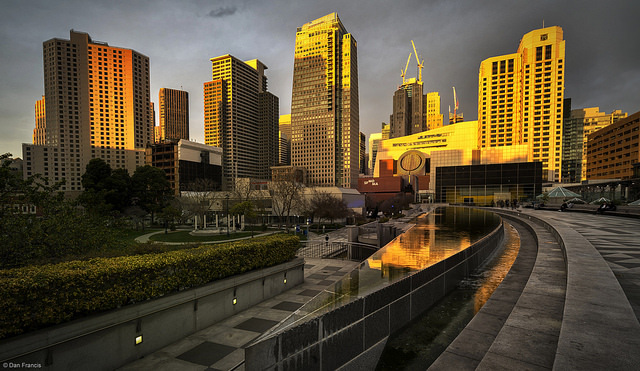 The OPTO conference is part of SPIE's Photonics West and is held at the Moscone Center in San Francisco. 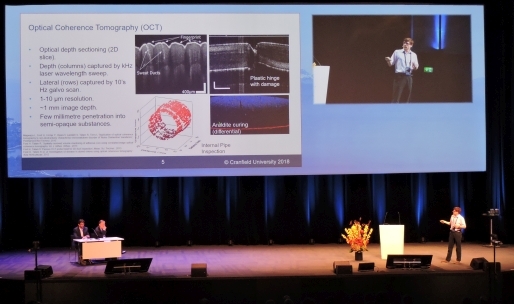 OPTO is one of the largest and most important optoelectronics conferences in the calendar and addresses the latest developments in a broad range of optoelectronic technologies and their integration for a variety of commercial applications. 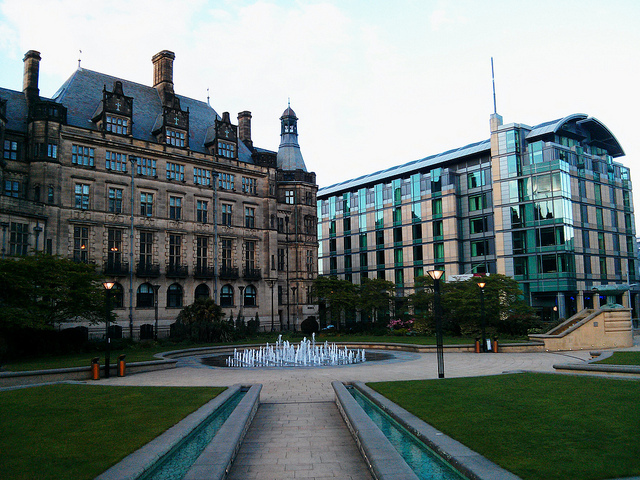 In January, Tom Charrett and Thomas Kissenger attended MetMap: The integrated metrology for precision manufacturing conference, held at the Advanced Manufacturing Research Centre in Sheffield. 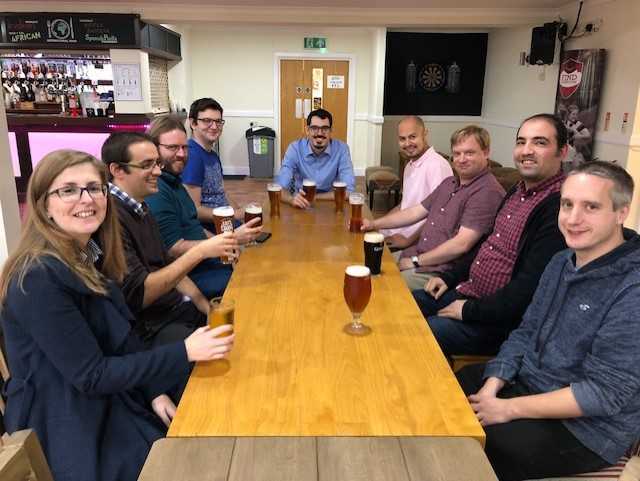 Congratulations to James Barrington on the successful defence of his PhD thesis covering the development of optical fibre long period grating sensors. James (at the head of the table) celebrating his viva success with the rest of the group. 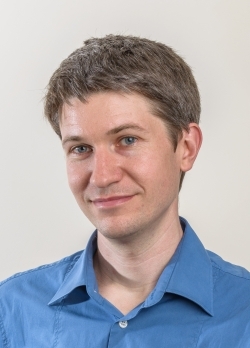 Engineering Photonics member Dr Thomas Kissinger has been awarded a prestigious fully-funded Research Fellowship by the Royal Academy of Engineering. Thomas is one of 17 engineers across the UK selected and the fellowship will provide £491,000 funding over five years, starting in November 2018. In the project entitled “Doppler-Enhanced Lidar System Using Range-Resolved Interferometry”, Thomas will investigate a new type of interferometric 3D imaging system, originally based on work carried out during his own PhD at Engineering Photonics. This novel device can provide high-quality velocity and acceleration data in addition to 3D images and could potentially be beneficial across a wide range of applications, including manufacturing, robotics, autonomous vehicles and healthcare. In October, Jonathan Hallam and Ralph Tatam attended the Rank Prize symposium on fibre optic and photonic sensors for industrial and healthcare applications. The symposium was held at the Wordsworth Hotel in Grasmere, which is located in the beautiful Lake District National Park in Cumbria. Jonathan presented his work on fibre-optic optical coherence tomography for high speed flow measurement applications, whilst Ralph discussed recent developments in engineering photonics for aerospace, manufacturing and healthcare. The symposium was very much enjoyed with lots of three-course meals and a free bar that went on into the night. Some more views of the Lake District. Presented at Rank Prize Funds Symposium on Fibre Optic and Photonic Sensors for Industrial and Healthcare Applications – New Challenges and Opportunities, Grasmere, UK, 2018. Congratulations to Vangelis Rigas on the successful defence of his PhD thesis covering the use of optical coherence tomography in microfluidic flow velocity measurement. 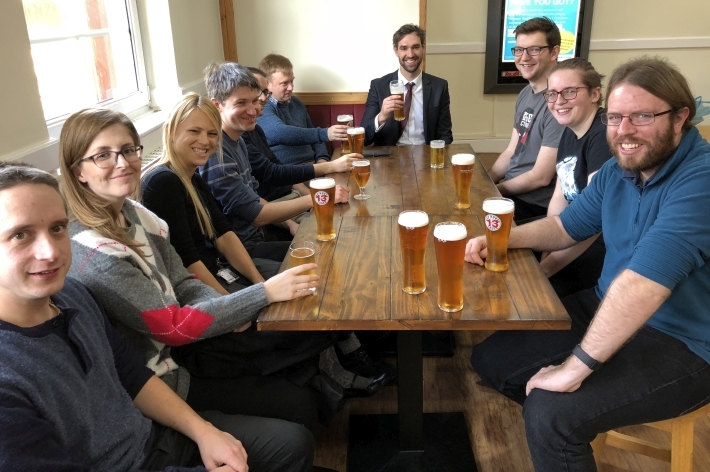 Vangelis (at the head of the table) celebrating his viva success with the rest of the group. In September, Antonio Rendon-Romero, Jonathan Hallam, and Steve James travelled to Switzerland to attend the 26th International Conference on Optical Fibre Sensors. Antonio presented a poster on his work on fibre Bragg grating immunosensors and Jonathan delivered a talk on the use of single-mode optical fibres in optical coherence tomography. Jonathan giving his presentation on optical coherence tomography. 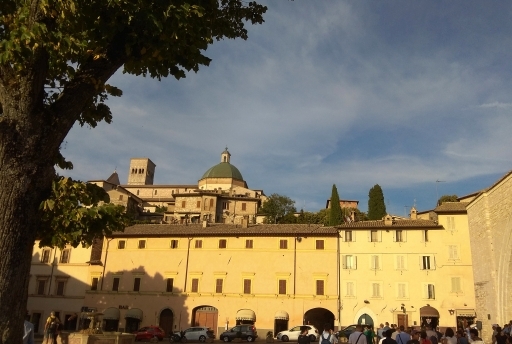 In September, James Bremner, one of the department's PhD researchers attended the Field Laser Applications in Industry and Research (FLAIR) conference in Assisi, Italy. FLAIR is a conference that brings together researchers and industry to discuss new work in the field of molecular species detection. Talks included work on scales ranging from planetary environmental monitoring to biochemical processes. James presented a poster on his work on the use of Range Resolved Interferometry (RRI) to allow the measurement of methane concentrations in multiple locations simultaneously. 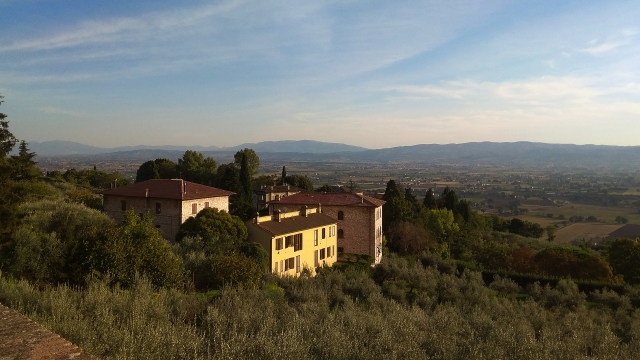 As well as a fascinating set of scientific talks and industry presentation, FLAIR included a chance for James to experience the beautiful Umbrian countryside and the history of Assisi, and St. Francis its most famous son. 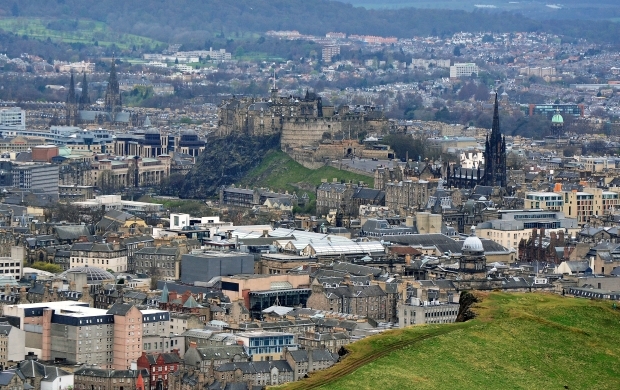 In September, Jonathan Hallam returned to Edinburgh to attend the Royal Academy of Engineering's Young Researchers' Futures meeting. Organised by the Academy’s panel for Biomedical Engineering, this biennial, multi-disciplinary event provides a forum for the best young engineers and scientists from throughout the UK. Jonathan presented his work on high-speed microfluidic particle velocimetry using optical coherence tomography. 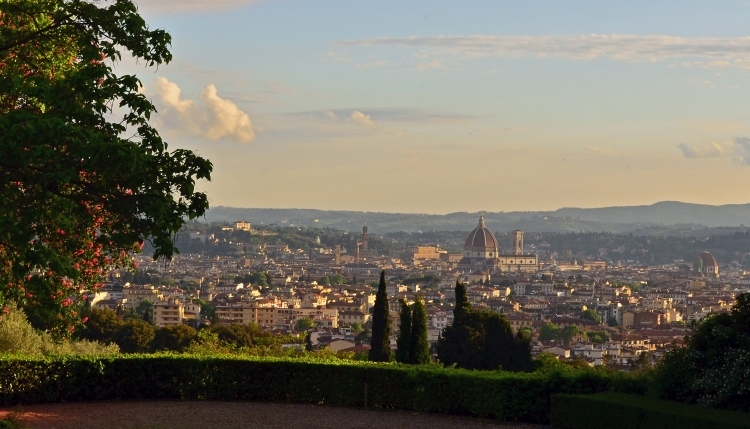 In August, Célia Lourenço travelled to Florence to attend the 22nd International Mass Spectrometry Conference. Célia presented two posters covering both her PhD research on mass spectrometry as well as her recent work investigating the volatile constituent of composite materials at elevated temperatures. The conference was held at the historic "Fortezza da Basso", a masterpiece of Renaissance military architecture, built in 1534-1537, fully restored and located downtown, a few steps away from many hotels and all the attractions (museums, theatres, monuments, etc) of the city. Florence from the Villa il Garofalo.